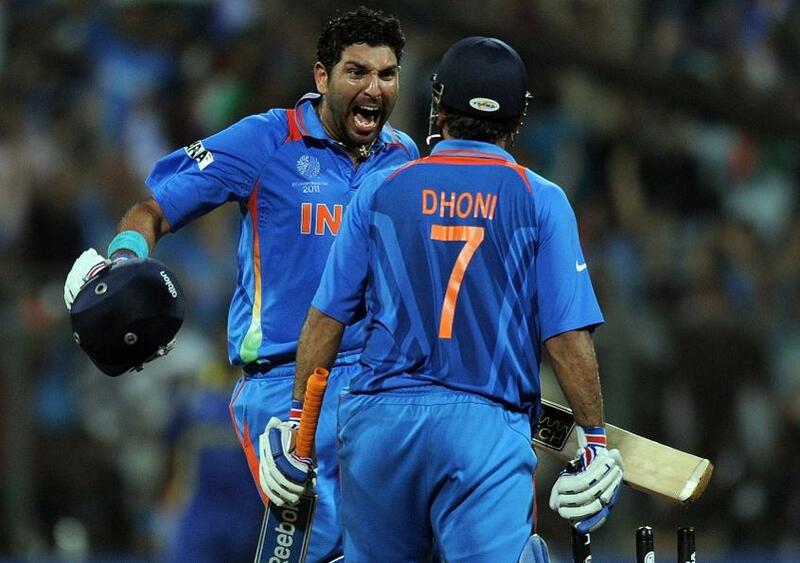 Yuvraj Singh believes MS Dhoni’s presence in the middle is crucial for India at the ICC Men’s Cricket World Cup 2019. Singh, speaking at an event in Mumbai, said Dhoni was a great captain for India, and that his experience and “great cricket brain” would prove crucial in high-pressure situations in England and Wales later this year. Dhoni’s position in the Indian middle-order has been a topic of polarising debate, largely owing to his slow strike-rate. Despite that, big figures in Indian cricket, including Sunil Gavaskar, have thrown their weight behind the former India captain. Dhoni has also been in decent form so far in 2019 – he was Player of the Series after scoring three consecutive half-centuries in the ODIs in Australia, and guided the chase on a couple of occasions in the limited-overs matches in New Zealand. "I think Mahi (Dhoni) has a great cricket brain,” said Singh, who was Player of the Tournament as India won the 2011 World Cup. “As a wicket-keeper, you are in the best position to monitor the game and he has done that fantastically over the years. He has been a great captain. (He’s) with the young players and guiding Virat (Kohli) all the time. Singh was also full of praise for Shubman Gill. The 19-year-old batsman made his India international debut in the ODIs against New Zealand, but despite poor returns of 9 and 7, Singh said his rise so far had been amazing – he carried on his Player of the Tournament-winning form at the ICC Under 19 World Cup to the first-class circuit, scoring at least a half-century in his nine matches.